Bardstown is famous for being called “The Bourbon Capital of the World” because several of the major Kentucky distilleries are based near and close by to Bardstown. 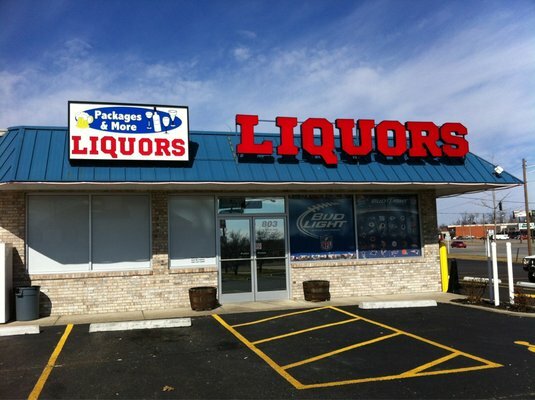 We were the first to bring you coverage from Package & More Liquors and we were just tipped off when Eric Hall, owner of the liquor store, told BourbonBlog.com that an attorney for the mysterious man had asked the stores manager for a statement, which the manager refused. Pickett is the man shown in a surveillance video from Packages and More liquor store in Elizabethtown that the Franklin County Sheriff’s Office released Wednesday. When they released the video, investigators said the man was a person of interest. Bardstown attorney Doug Hubbard told Pickett had retained his services and was acting as his spokesman during an interview with The Kentucky Standard. Pickett was out of town all week in Hilton Head, S.C., and learned by phone he was the subject of the video, Hubbard said. The trip to Hilton Head was a long-planned trip for a destination wedding of a relative, Hubbard said. Hubbard said Pickett was informed of the video Wednesday and had contacted the attorney Wednesday night. By 7:30 a.m. Thursday, Hubbard said he was trying to get in touch with detectives at the sheriff’s office to arrange contact between his client and investigators. The surveillance video shows a late model green Ford F-150 with tan trim pulling into the store’s parking lot around 1:49 p.m. on Oct. 20, according to the time stamp on the video. A man in blue jeans and a purple Bardstown High School sweatshirt exits the truck and enters the store at 1:49:23. By 1:50:45, less than 90 seconds after entering the store, the man exits with no apparent merchandise and drives off. Footage from inside the store indicates the man spoke with the clerk for just about a minute. Hubbard disputed the accounts of witnesses at the store relayed by police. Franklin County Sheriff Pat Melton confirmed media reports late Friday that witness accounts from the store claimed the man in the video had tried to sell them a “large quantity” of Pappy. He declined to comment on the status of Pickett as a person of interest, saying his office is being “very tight-lipped” about the investigation. He said his office might have more information for release Monday afternoon. He said his detectives are working several angles on the case. “They’re going to continue to work this slow and methodically,” he said. Hubbard said that he had arranged for Pickett to be interviewed by investigators Monday. He declined to arrange a media interview with his client Friday. Hubbard said until he and his client meet with investigators, they don’t know any more than what they have read and watched in the news. Hubbard said it strained reality to think Pickett had anything to do with the missing bourbon. He said Pickett had not even been to the Buffalo Trace Distillery in Frankfort, where the bourbon is produced under contract for the Van Winkle family. In past media interviews, investigators have indicated the heist could have been an inside job, with bottles disappearing a few at a time rather than one big haul. “Obviously, they would not have any serious belief that he walked into Buffalo Trace every day and walked off with a couple bottles,” Hubbard said. 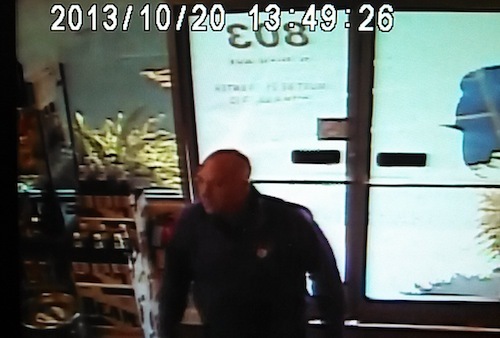 The theft of the much sought after bourbon was reported to the Franklin County Sheriff’s Office Oct. 15. The suggested retail price for each of the missing 195 bottles of Pappy Van Winkle 20 Year is $130, although if found at that price, a buyer could easily turn and sell it for massive profits. The New York Times, in covering the theft, reported that a bottle at auction at Bonham’s sold for $1,190. 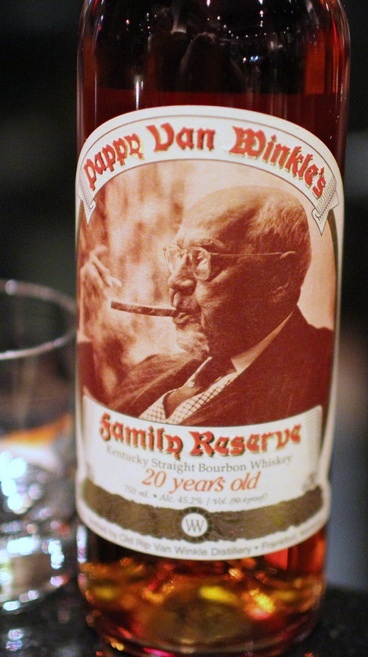 The Times reported at the Jack Rose Dining Saloon in Washington, D.C., a two-ounce shot of Pappy 20 Year goes for $65. Also missing from the distillery is nine cases of 13-year-old Van Winkle Family Reserve Rye, which retails for $65 a bottle. The case has generated media interest worldwide, and Melton said he was surprised somewhat by the response. He said his office didn’t even initially send out a news release. Original story reported by By Forrest Berkshire, Editor.